Linda has been studying Healing Touch since 1996 and received her certification in 2004 and has offered her private practice in Bolingbrook ever since. Linda earned a Bachelor's degree in Divinity from the Universal Brotherhood and officiates at local weddings. She is now retired from Kellogg Corp. where she offered training in the IT department and served on the call desk for IT resolution. 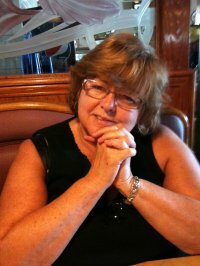 Linda has been active in the Healing Touch community for 20 + years. She is a chartered member of the Healing Touch Professionals Association. Linda is currently one of the Healing Touch Supervisors for the Healing Touch Clinic located at the Amita/Alexian Brothers Cancer Institute’s Healing Touch Clinic in Elk Grove Village.